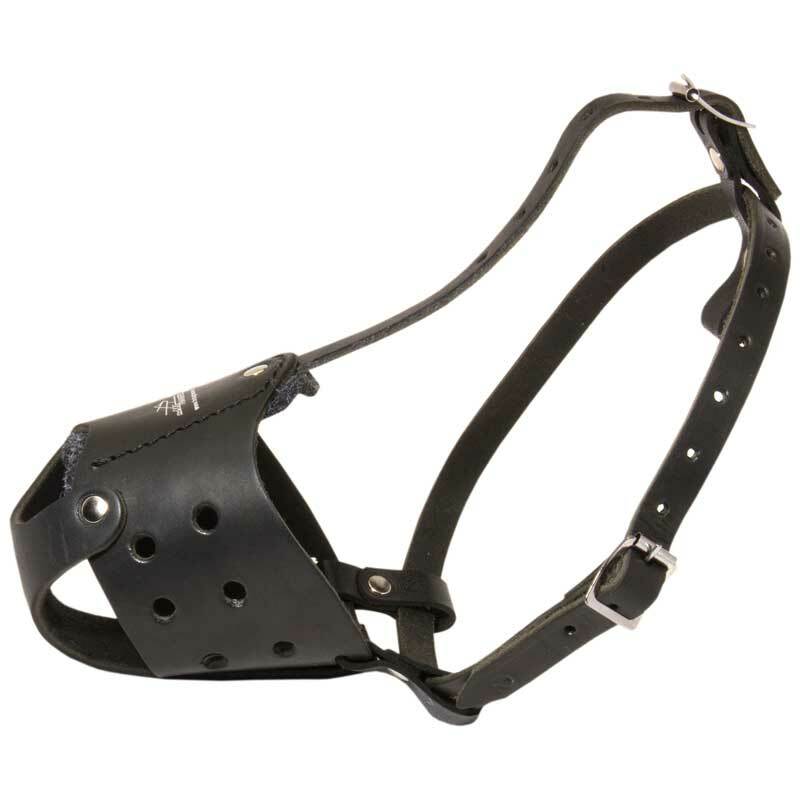 This Dog Muzzle is made of top quality dog-friendly materials according to all world standards for dog training equipment. Its main feature is special open nose form that allows your Rottweiler to breathe freely performing different kinds of activities (safe walking, obedience training, off leash training, etc). Full grain genuine leather, that has been used for the manufacturing of this dog item, is strong, durable and pleasant to touch. This Muzzle is very comfortable because it is equipped with soft inside padding that protects your dog from problems connected with skin irritation and different kinds of allergies. This dog supply is fixed on your dog’s shout with the help of several non-stretching straps which are easy in adjustment.